Year after year, San Antonio consistently flies under the radar as one of America's top retirement destinations, truly making this South Central Texas city a hidden gem. With fabulous golf courses, endless activities and entertainment, year-round hot, subtropical weather, and only an hour drive away from Austin, the state's capitol, this truly is a dream destination for retirees. What better way to thrust yourself into all that San Antonio has to offer then to make your next home an independent living community (listed below), which are designed to promote healthy living, social engagement, and maximize fun! Emerald Oaks Retirement Community is a newly opened, senior independent living community in north San Antonio. At Emerald Oaks you can enjoy a worry-free lifestyle in a friendly, comfortable, worry-free community and meet great new friends and enjoy wonderful amenities and activities. Pacifica at NewForest Estates welcomes residents to enjoy all the best that life has to offer in your own private apartment with delicious chef prepared meals, daily activities, and a variety of amenities all included in your monthly rent. We provide our residents with wonderful services that take the worry and inconvenience out of everyday living. We also offer an assisted living lifestyle that benefits seniors who value their independence, but do not want to live alone. Assistance with daily tasks and reminders enable seniors to enjoy and experience life while aging with dignity. Residents welcome the independence and pleasure of living in their own apartment with the added comfort of 24-hour supportive services to provide a helping hand when needed.  San Antonio’s finest in retirement living featuring a continuum of care both onsite and through our outreach programs. The Village at Incarnate Word is one of many outgrowths of the original mission that brought the Sisters of Charity of the Incarnate Word to San Antonio in 1869. Our ministry is a work of compassion and merciful love, not duty. The Village features independent living, assisted living, memory care assisted living, extended nursing care, and in-home services via Sisters Care. Steeped in rich history and tradition, we invite you to experience The Village at Incarnate Word lifestyle. Come home to a friendly group of neighbors and enjoy extensive educational, spiritual, fitness, and social events. Since 1987 Independence Hill Retirement Community has been known for providing superior services to our residents. With outstanding amenities and bustling social activities, you’ll experience a rewarding and exciting lifestyle at The Waterford on Huebner. Located just northwest of downtown San Antonio, less than 15 miles from the River Walk, and a short walking distance to Christus Santa Rosa Hospital and Oak Hills Country Club, our independent living community prides itself on making our residents feel right at home! Centrally located in northwest San Antonio, neighboring the University of Texas Health Science Center, the beautiful campus at Villa de San Antonio offers a variety of senior lifestyle options including independent living and personalized assisted living. Residents have access to a variety of amenities that support a fulfilling, engaged lifestyle. Start your morning off at our fitness center or with a gentle workout in our shaded pool. Enjoy a healthy lunch, and then plan a trip to some nearby shops. Spacious apartments with vaulted ceilings and large kitchenettes is only of the reasons our residents find ultimate comfort in calling The Waterford at Thousand Oaks their home. Just a turn off North PanAm Expressway, and only a short drive to downtown San Antonio, our vibrant community affords endless social activities, entertainment and health programs, as well as restaurant dining three meals a day! San Antonio's most prestigious yet affordable active adult community where a fabulous living environment is only the beginning. We have combined a creative lifestyle with state-of-the-art facilities, professional on-site management and exceptional social outing options with all the services and extras you deserve.